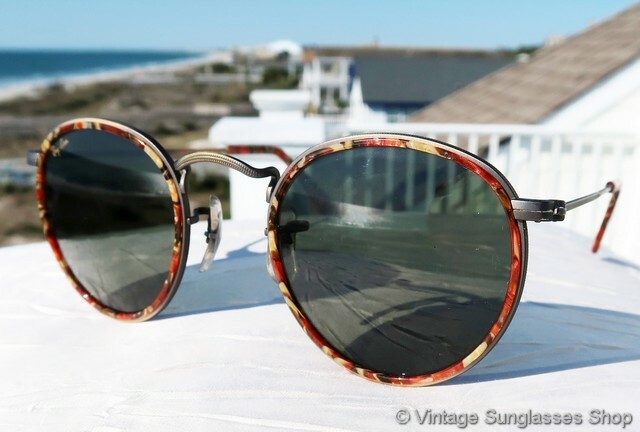 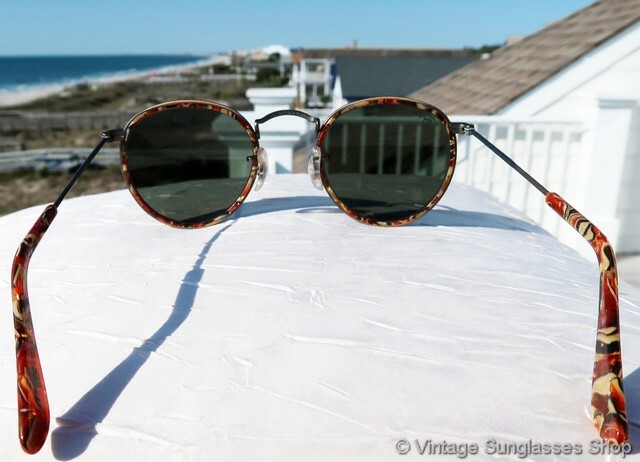 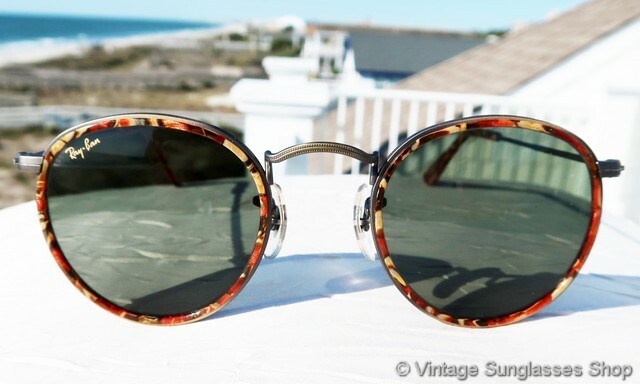 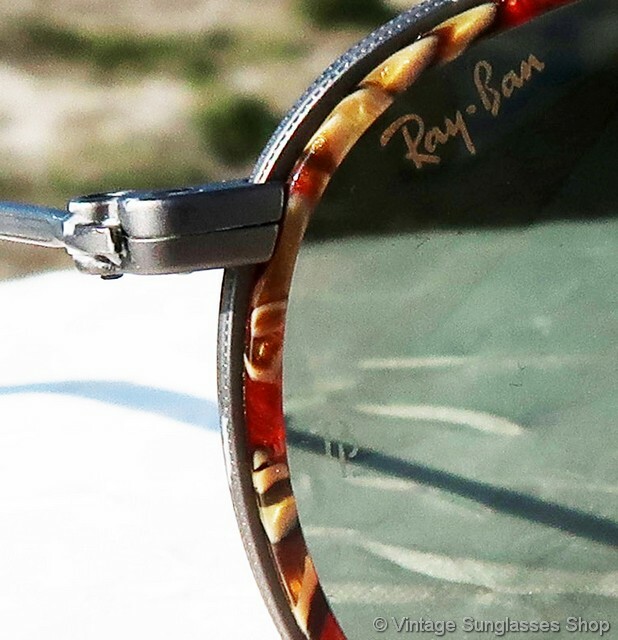 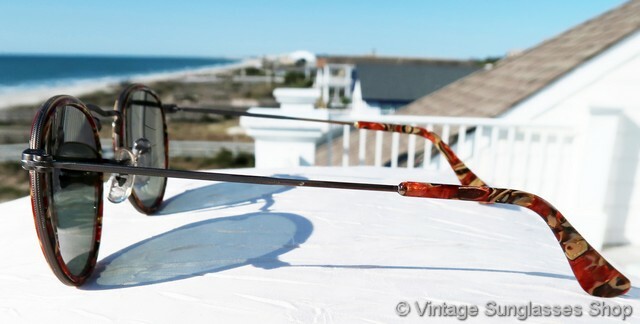 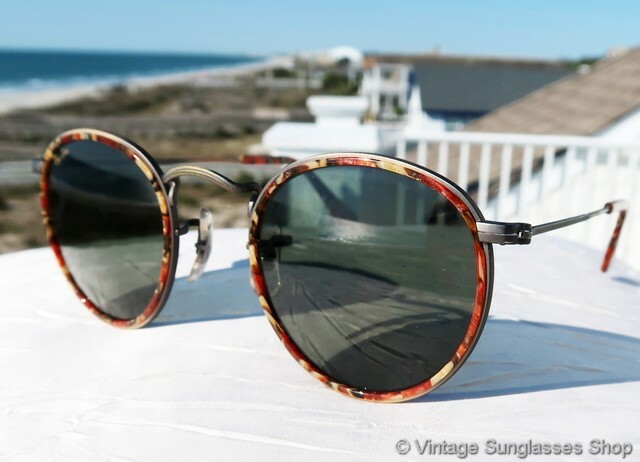 1 Vintage Ray-Ban W1677 Classic Metals Round Metal sunglasses feature the desirable and very hard to find bronze with bronze chip front frame, a rare variation of tortoise shell with great hues of pink and red for so much extra design flair. 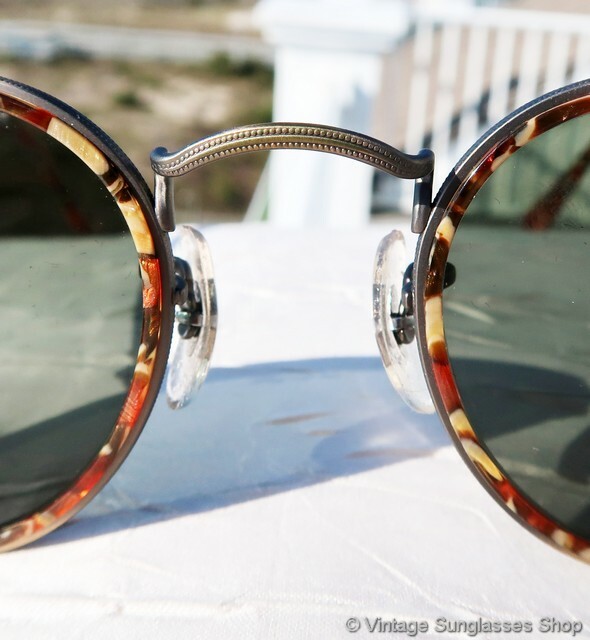 The exposed portions of the brushed gold Arista frame perfectly complement the look of the tortoise shell front frame, and the matching bronze chip ear pads complete the look. 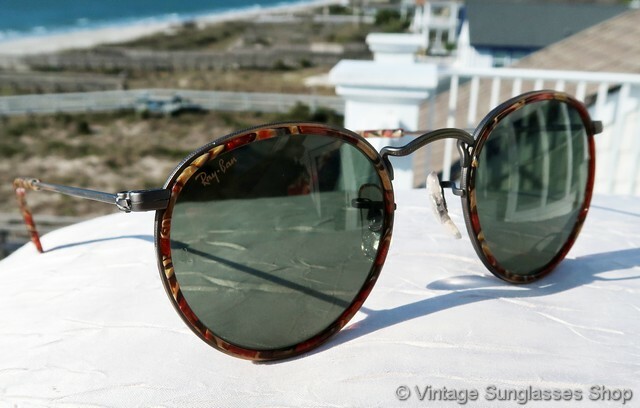 The unisex Ray-Ban W1677 Round Metals frame measures approximately 5.0" temple to temple and the high performance B&L G-15 XLT lenses measuring approximately 1.75" in diameter. 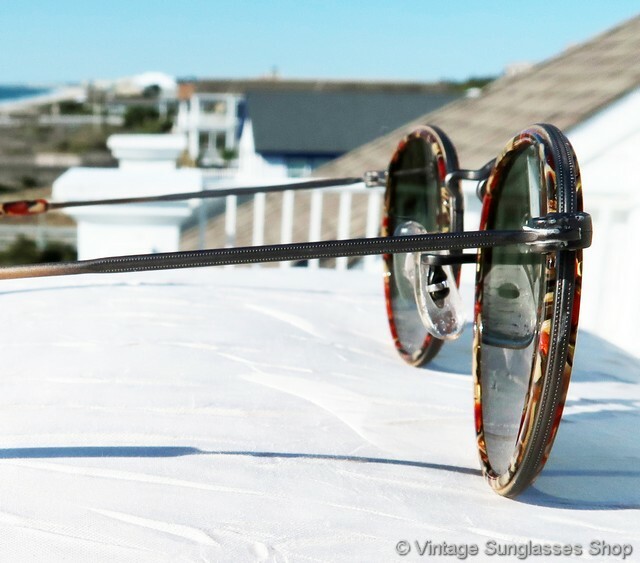 Both lenses are laser etched BL near the hinges, the right lens is laser etched Ray-Ban, and the tortoise ear pad is impressed W1677 WSAS. 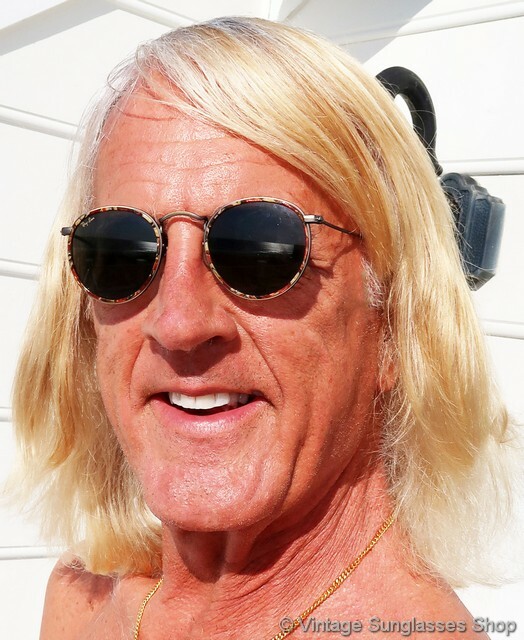 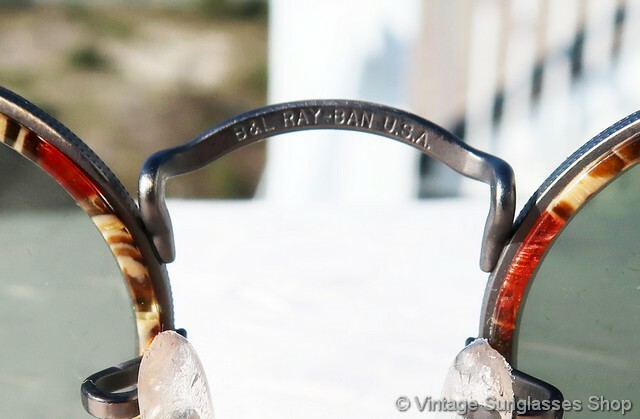 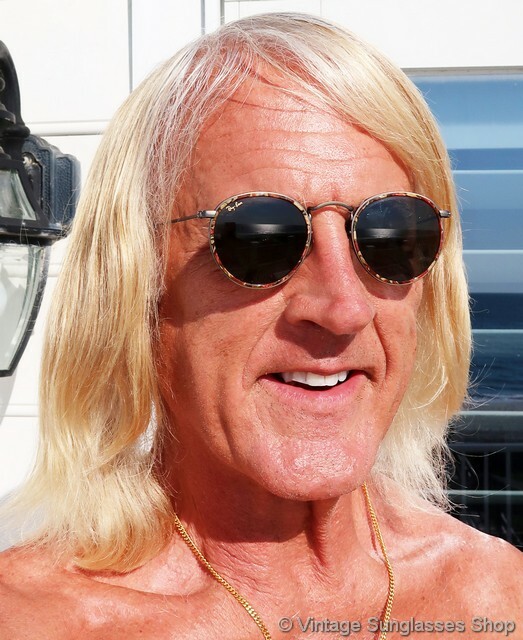 The rear of the nose bridge is impressed B&L Ray-Ban USA in the gold plating, part of the collection of a well known sports figure and customer of the Vintage Sunglasses Shop. 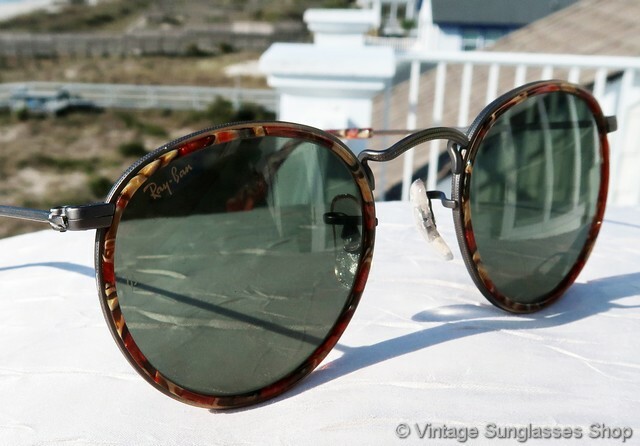 2 Step up another level beyond our already unequaled vintage condition standards with new old stock Ray-Ban W1677 Classic Metals Round Metals sunglasses in mint, unworn condition.